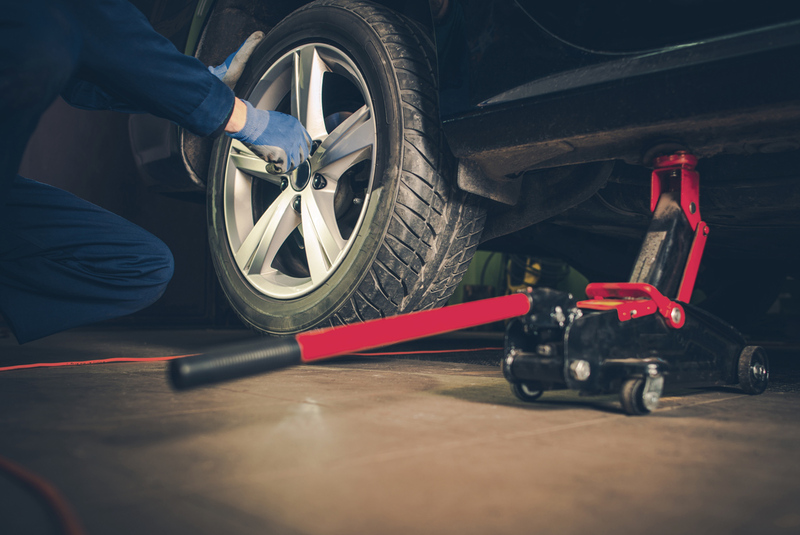 The certified technicians at our repair shop are experts in providing high-quality tire services, including wheel alignment, tire installation, tire balancing, tire rotation and tire inspection. Our wheel alignment service will give you the best driving experience. It helps your vehicle drive smoother, your tires last longer, and ultimately keeps your wheels pointed in the right direction. Just like your shoes can wear, so do your tires, and if your wheels are not properly aligned, they can wear unevenly. Wheel alignment service is very important, because it can expand the life of your tires. Even the smallest alignment issue can result in an uneven tire wear. Once your wheels are properly aligned, it&rsquo;s smooth cruising ahead, saving you tire wear, fuel, and ultimately...money. It's very important to perform regular tire maintenance, not just for the safety of your family, but also to ensure a long lifespan for your vehicle. You are advised to always consult wih your owner's manual in terms of finding the proper tire size for the year, make and model of your vehicle. When you purchase new tires, they have to be in sets of 4, or at least in matching groups of 2 on each axle. This extends the life of your new tires and keeps your tire wear even. You can shop for new tires on our site by size, brand, or vehicle make, model, and year. Browse our extensive stock of new tires, and compare tire specifications and prices before you buy, to ensure you are getting the best new tires for your needs and budget. Tire Balancing is important to increase the basic safety of your vehicle and extend the life of your tires. The certified technicians at our auto repair shop are here to help with all of your tire balancing and tire service needs. Tire balancing happens each time you replace your vehicle's tires. Since tires wear depending on road problems and driving practices, uneven wear will begin to be visible after the initial 1,000-2,000 miles of use. You must check your tires for balance every 4,000-6,000 miles. Our certified technicians can assist in determining if your tires need to be balanced and rotated based on mileage and wear. Your vehicle's weight is not distributed evenly to all four corners. If you leave all 4 tires just the way they are, some tires would eventually wear out faster than others. We know that tire rotation is an essential part of making your tires last longer. The tire roation process consists of moving your tires from from fron to back, moving them from one side of your vehicle to the other or a combination of both, depending on what was done before and your vehicle. Uneven tire wear could bring about unsatisfactory gas efficiency, poor performance, reduce the life of the new tire and can easily cause safety problems. Regular tire rotation helps eliminate premature tire wear and could save you a lot of money on new tires. Visit our auto repair shop and let our trained mechanics rotate your tires. Tires need to be checked on regular basis for damage, such as stones, nails or other sharp objects that may have penetrated the tire. They also need to be checked for bulges, tears or cuts that might be the result of contact with road hazards. If you have doubts about the condition of your tires, it's best to have them inspected by our certified mechanics. Our auto repair shop is known for performing top-not tire inspection service.